While in Michigan visiting my cousins, we got to go blueberry picking on their land. It was so much fun to eat them right off the bushes since there were no pesticides and junk plus they tasted amazing. This is just part of the two large cans. I didn’t want it to end either. 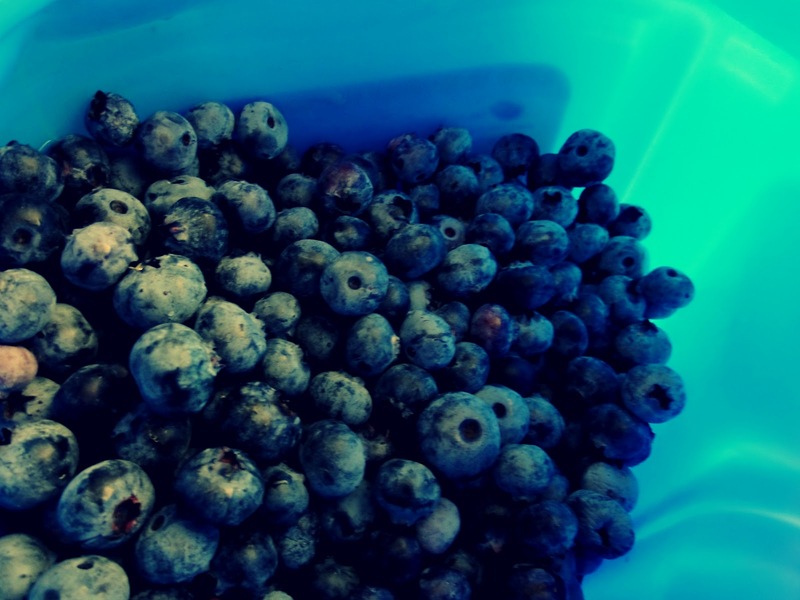 I want to have fresh blueberries forever. So the first thing I thought of when picking said blueberries was blueberry muffins! 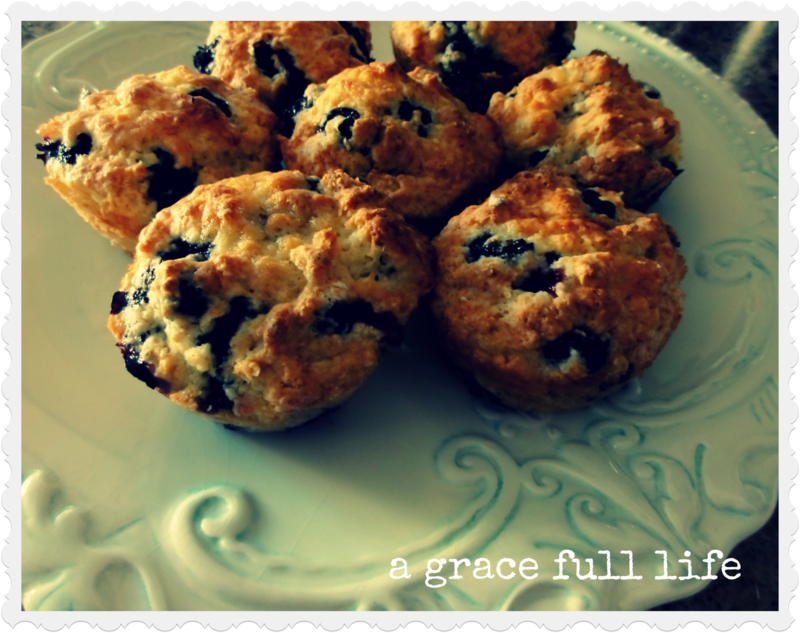 Lots and lots of blueberry muffins!! But I wanted a low-fat version since I am perpetually on a diet lifestyle change that makes me avoid all things that taste really good. 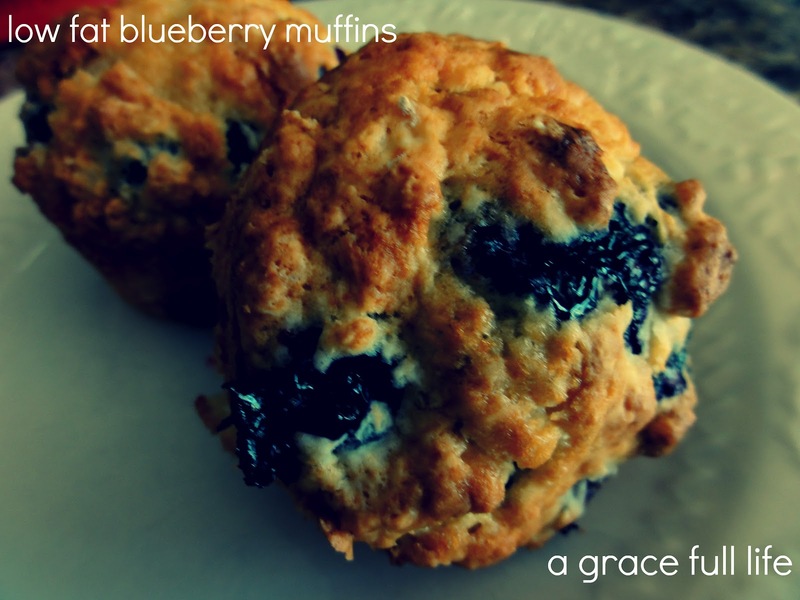 So I googled “low-fat blueberry muffins” and I actually had a hard time finding a low-fat version of the muffin without oatmeal or yogurt. Not that I have a problem with that but I wanted something I already had on hand. I did find a recipe on Cooks.com for a low-fat version and I tweaked it to fit my needs. I didn’t have egg beaters so I did what I do best. Worked with what I had. Spray muffin tins with Pam spray. Mix all the above, adding blueberries last and gently folding them in. This is what I did to give them a little boost: Add some spray butter when warm and sprinkle a little sugar on top. With fresh blueberries!? Those must be delicious! Have a wonderful weekend, my friend! I made these tonight and they are Delicious!!!!! I can't wait till morning to have with coffee! I made these tonight and they are delicious!! I can't wait til morning to have with coffee! I can taste them right now Kari! There is nothing like fresh blueberries to make me happy!! These look quite tasty!! Thanks for sharing at the What’s for Dinner party. Hope to see you again this week! They are SO good!! Thank you for visiting!